It's true. It really happened. 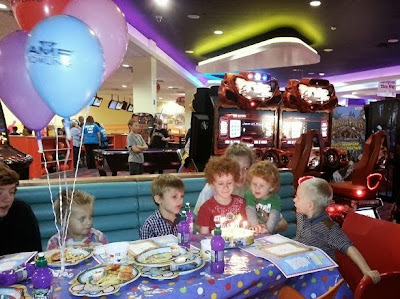 This time last week I was still trying to contact the bowling alley to give them the expected numbers for my son's 5th birthday party that I booked in July. I couldn't get anyone to answer the phone, it was the day before the party and online only gave the same phone number, so at 6pm I sent my partner off to drive over to the bowling alley and check nothing was wrong. It was very wrong. It was very closed. Too late to tell anyone at school, and only 3 of the 6 children invited had replied (why do parents do that? Why not say 'sorry, no' if you can't come?). 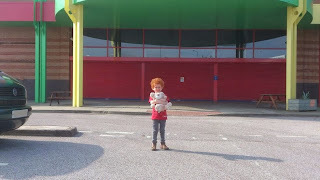 Most importantly I had a 5 year old boy who was absolutely buzzing with excitement and there was no party. In a panic I rang the next closest branch of 1st Bowl. I don't know what I was expecting. She was polite and clearly expecting calls and had only a postal address she could give me for the company. What the hell was I meant to do with that? Realising I was not going to get any joy out of them and at this point just wanting to save something I rang the booking line for AMF Bowling who have a branch in town. The woman I spoke to was mortified on my behalf. She was so lovely and desperate to help, but told me there was a 2 week booking period. She put me on hold for 5 minutes and then came back with the best thing she could ever have said. "I've spoken to the manager at your local branch and he wants to help. He doesn't have many parties booked tomorrow, so he can fit you in, but only at 11am or 1pm"
Seeing as the original party was booked for 12 noon, 1pm was just perfect. I said 'thank you' many times, cried a bit, paid my deposit and then rang the 3 parents I had numbers for. Talk about a stressful hour! 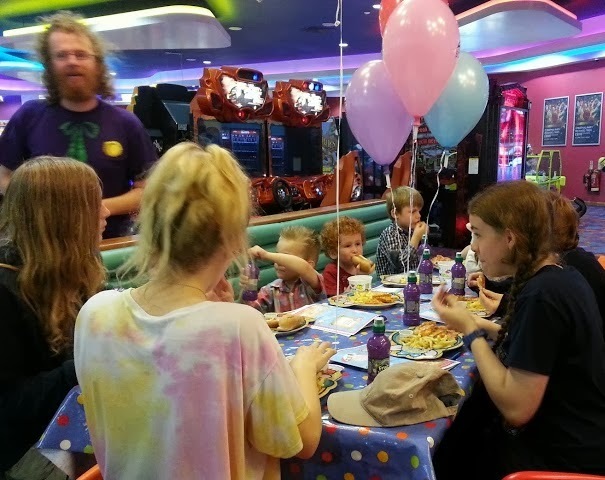 So on Saturday (via the original alley just in case anyone had turned up) we took our 6 youngest children and 3 friends and gave boy no.3 the best birthday party any 5 year old could ever have. And it really was brilliant. The staff couldn't have been more attentive, we were given loads of time and allowed to finish our game even though it ran over. No-one cared that the little kids spent half the time running around the seats in circles laughing rather than sitting waiting for their turn. There were balloons and singing and cake, and it was perfect. The teenagers were competitive - the little ones didn't even get it that there was a score! 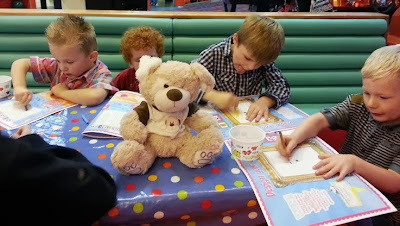 Even the coloring sheets while we waited to eat were popular! So I wasn't even left out of pocket. 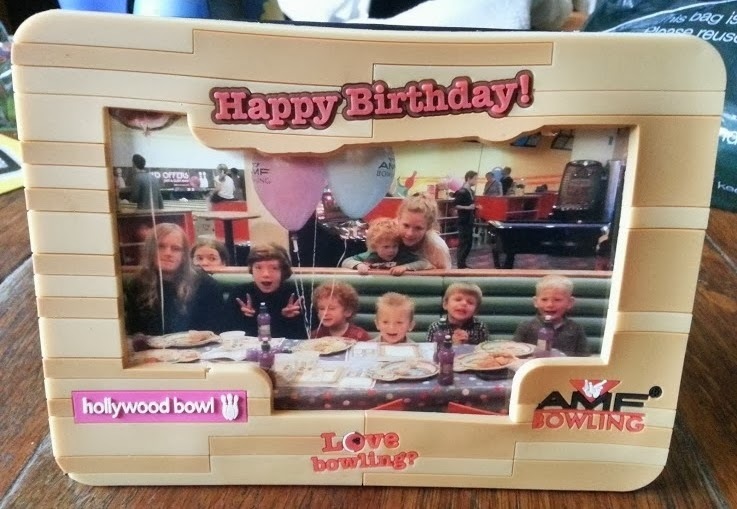 I can't be thankful enough to AMF Bowling for fitting us in and having such an amazingly lovely bunch of people on staff, and to Bury Family Life for covering the bill even though it really wasn't their fault at all. 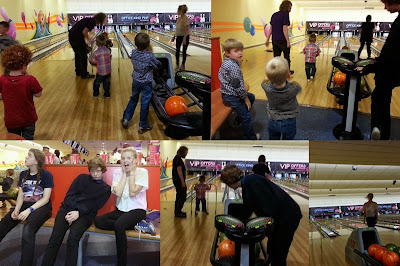 ......And thank you too to the 3 sets of parents who brought their children to the rearranged bowling and didn't mind me posting pictures of their young men on my blog. No thanks to the national chain 1st Bowl, which didn't bother to let me or anyone else (children in party clothes were turning up for other parties carrying presents when we went past on the Saturday) know that they had closed down that branch, despite having my phone number and email. How awful! So pleased you managed to get sorted though - it's nice to know decent, honest people do still exist! How awful for you!! So glad you got it sorted....Looks like your son had a fab party!! 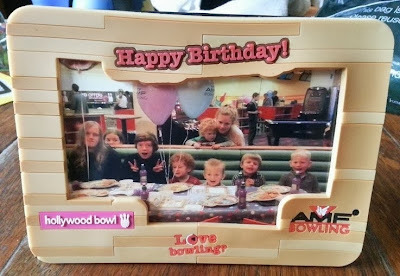 So pleased you got it sorted, we considered holding Ben's party there, so glad we went with Hollywood bowl instead! That's so bad they didn't even tell you it had closed! But how amazing for it all to be rescued like that. Looks like everyone had a really brilliant time! So pleased you got it sorted Jen. glad you did get it sorted & had a lovely party but it is pretty awful of 1st bowl!! It's horrific. I keep thinking of all the other little children who were disappointed. You'd be livid if you just turned up on the day. Glad you managed to get something sorted. Nothing worse than a disappointed child. 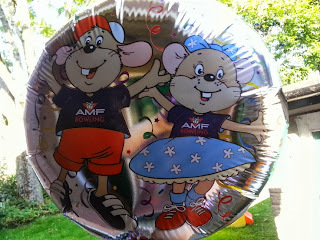 Well done AMF for helping you out and for the other party covering the costs! I'm glad you got it sorted. What a nightmare, I would have been crying if that happened to me. Oh thank goodness you got it sorted! I hate customer service like this - how could they not care that a child was going to be let down!? so glad that they managed to sort it out!